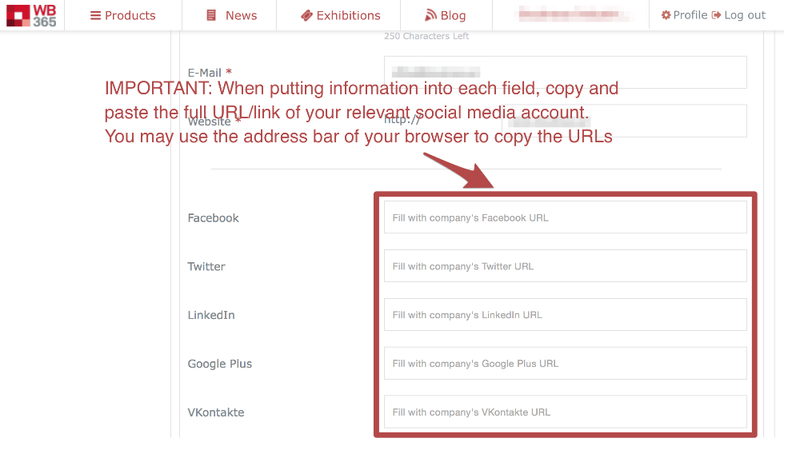 As a listed company, you may include links of your social media accounts in your public profile page. Click "Profile" or "My WorldBuild" links from the top right section of the site to access your personal page. 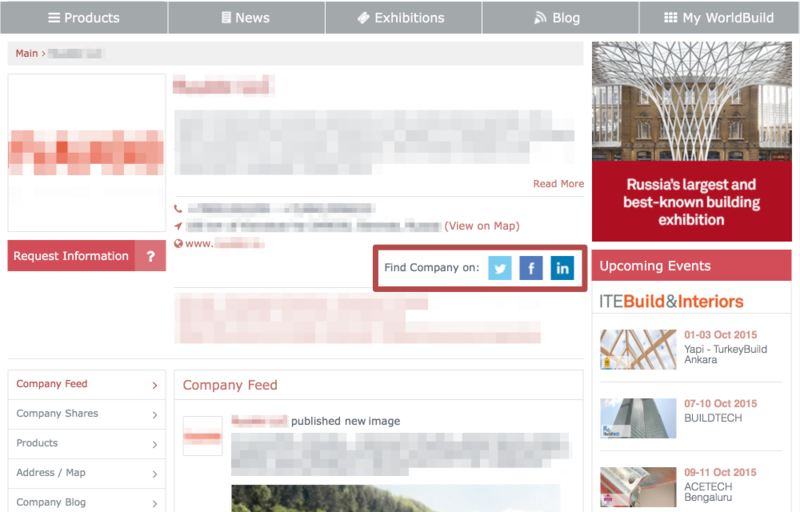 Use the "My Company Details" link from the left navigation menu to start editing your personal information. 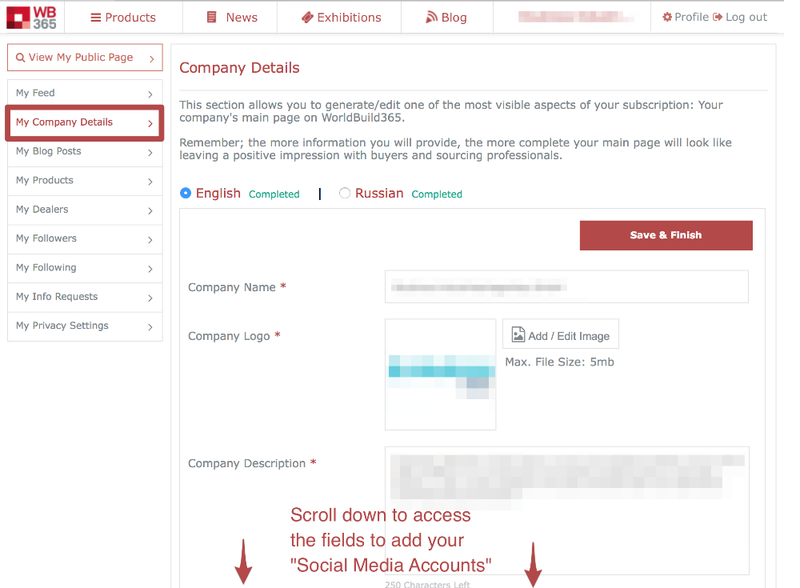 Scroll down to access the fields that allow you to input URL/links of your social media accounts.